SIP Academy in India (part of SIP Academy International) has been awarded “The Best Coaching Institute in Skill Development for Children in India” by Worldwide Achievers at Asia Education Summit in 2015. 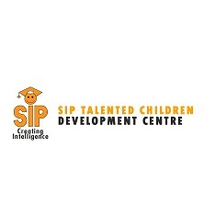 SIP is a child skill development organization with various programs that are developed after years of research & testing and are of international standards. These programs focus on developing various skills in children. The process of developing skills in turn improves the learning ability of the child. SIP's credo has always been to develop programs by ‘Keeping the Child in Mind’ and hence follow the fun learning methodology. This fun learning methodology achieves the objective of making the child achieve excellence not only in academics but also in other walks of life.